E.B. 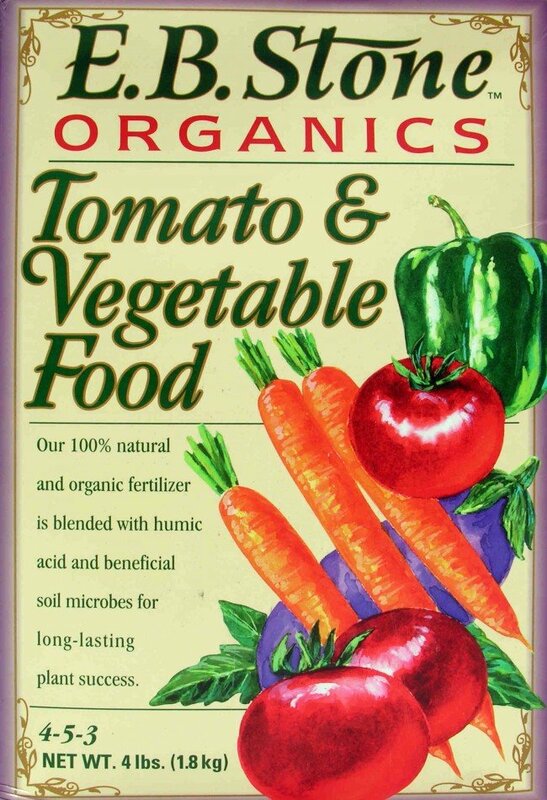 Stone Organics Tomato & Vegetable Food is a blend of natural ingredients that can be used throughout the vegetable garden and with soft fruits such as berries. The mixture is designed to provide even plant growth without producing excess foliage that can detract from fruit growth. 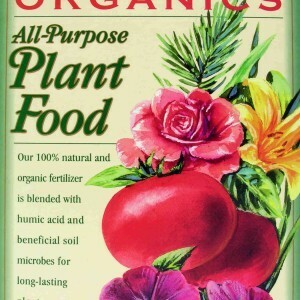 The fertilizer contains phosphates that will result in better fruits and vegetables. The calcium helps to prevent problems such as blossom end rot and will balance acidic soil conditions. All E.B. Stone fertilizers offer organic alternatives to other chemical blends to enhance growth for many types of fruits, vegetables, flowers, trees, and other plants. 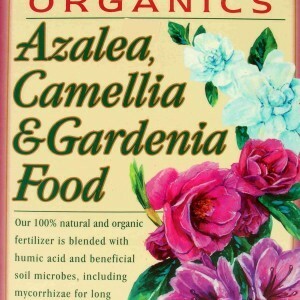 When applying the product, do not use with dry soil or apply directly to wilted leaves. 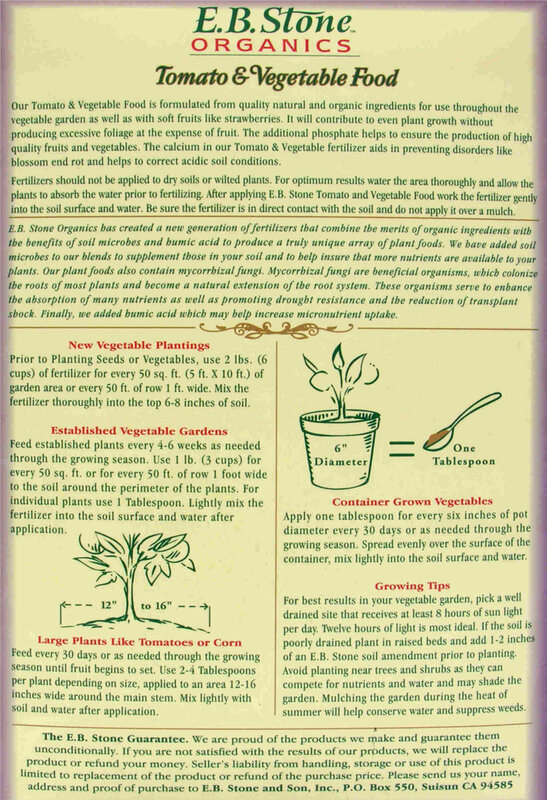 Best results are achieved after first watering the plant and allowing the water to be absorbed, then gently mixing the fertilizer into the soil. 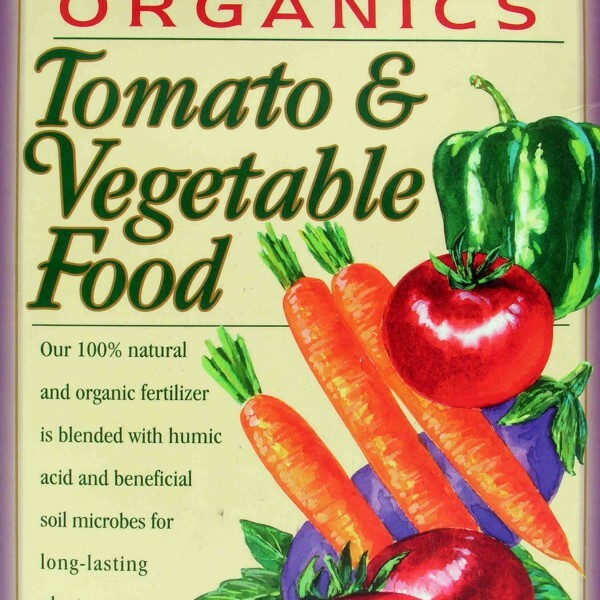 When treating with Tomato & Vegetable Food, use 6 cups of fertilizer on every 50 square feet for new vegetable plantings. 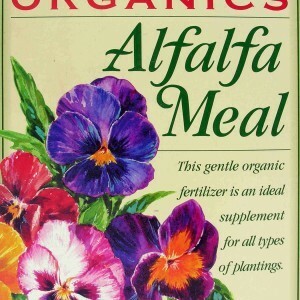 Mix the fertilizer into the top 6 to 8 inches of soil and water thoroughly before planting. 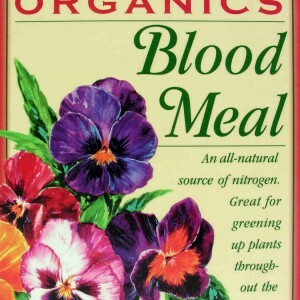 With established plants, treat every 4 to 6 weeks during the growing season. 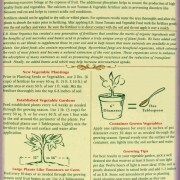 Use 3 cups for every 50 square feet, applying around the edge of the plants so as not to disturb the roots.